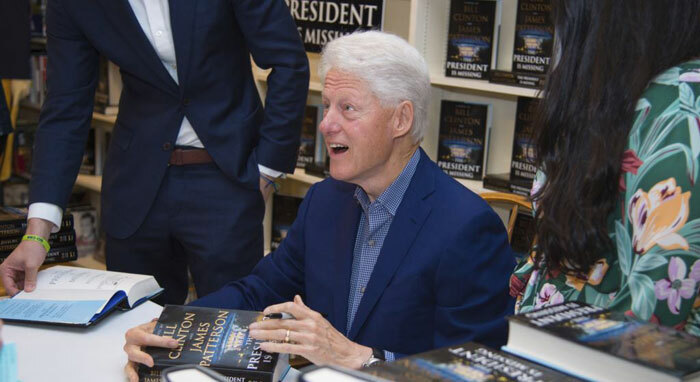 Bill Clinton is a now a million-selling novelist. "The President is Missing," a thriller co-written with James Patterson, has more than 1 million sales in North America alone. The book's co-publishers, Alfred A. Knopf and Little Brown and Co., announced the sales figures Wednesday. The novel was released June 4 and has topped best-seller lists for weeks. Reviews were mixed, but Barnes & Noble fiction buyer Sessalee Hensley said in a statement that "The President is Missing" had benefited from "very strong" word of mouth. The book's subject has also proved timely: a potentially devastating cyberattack, which intelligence experts have called a leading concern.